Some of the oldest living organisms on Earth are our humbles trees. 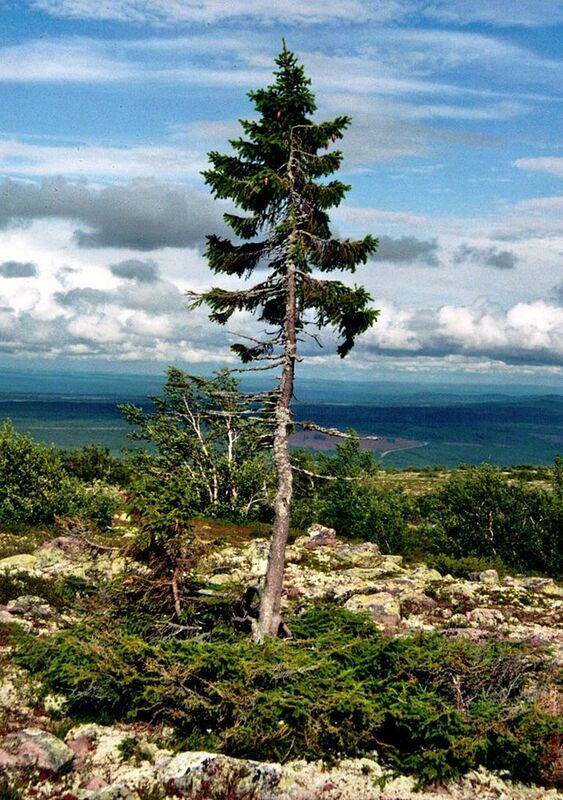 Growing in Sweden’s Fulufjället Mountain, for instance, is the incredible Old Tjikko, a 16-foot-tall Norway Spruce that has been around for the last 9,550 years! 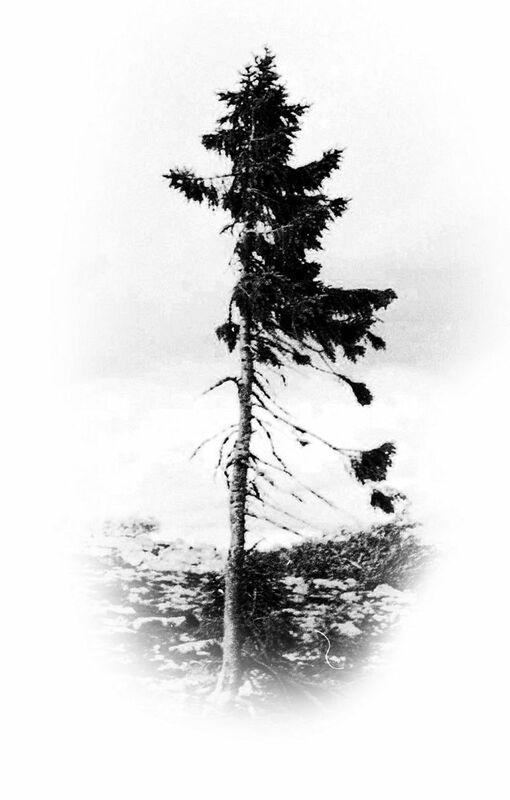 Confirmed with the help of carbon dating, the tree’s age makes it the world’s oldest individual clonal tree. Discovered back in 2004, the tree belongs to a species that has traditionally been used to decorate homes in Europe, during Christmas. The reason behind its immensely long life is a uniquely intricate root system that is capable of regenerating itself through cloning. 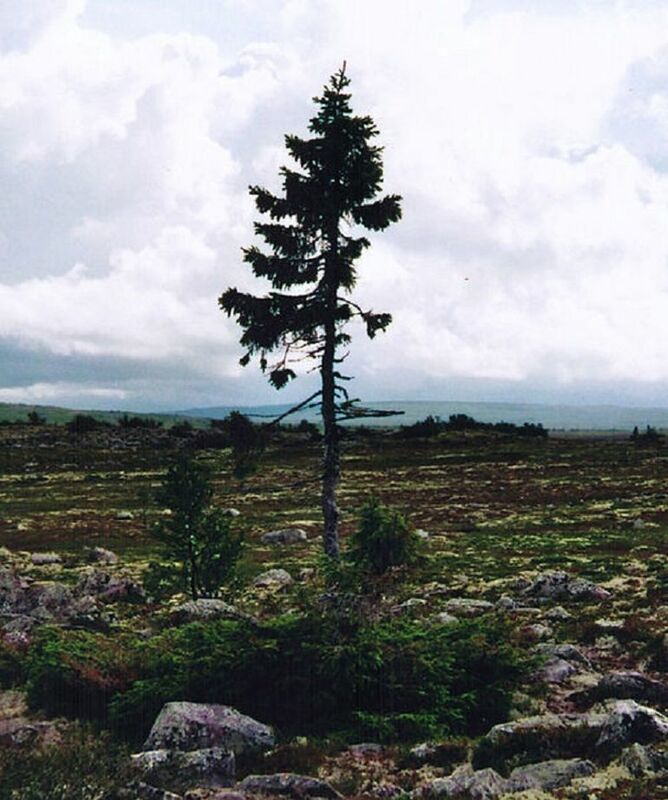 Although the visible part of the tree is quite young, only around 600 years, the roots date back to 7, 550 BC. Once the trunk withers off, an entirely new one grows at the same spot. Named after the discoverer’s dog, Old Tjikko’s longevity can be attributed to some extent to global warming. 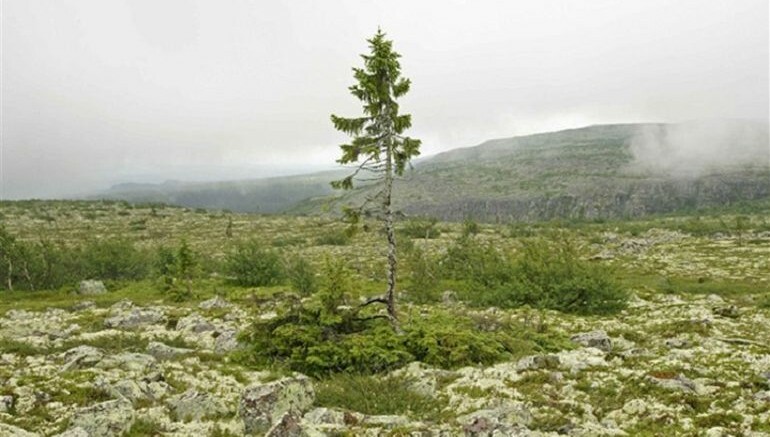 Originally only a tiny shrub, the tree has grown into a full-sized tree in the past 100 years, thanks to the warmer temperatures now prevailing in the tundras.